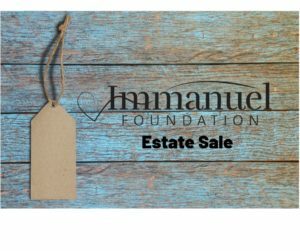 This is the first annual Immanuel Foundation Estate Sale featuring art, antiques, books, furniture, and household goods of all kinds. 100% of proceeds will benefit seniors in our community. Spring cleaning? Donations are still being accepted; please call 406.752.9243 for more information.